Robert's Coffee is located on the completely renewed 1st floor. 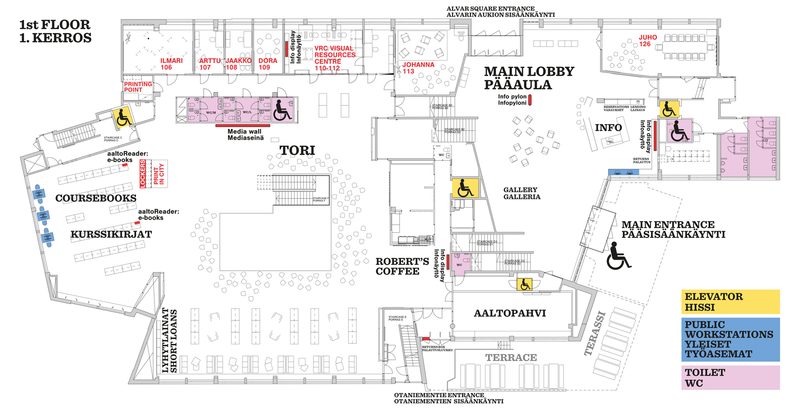 Robert’s Coffee Otaniemi is located on the 1st floor, next to the Tori space. Besides snacks, refreshments, and tasty coffees, they serve also delicious self-made gelato. A compact 25 square meters studio that is located on the K floor. Spaces available for various kinds of events, private and open for all. Rooms for groups of up to 20 people. Quiet study space for all customers. Create a video presentation by yourself or with your group with high quality lighting, sound and easy editing and online sharing. All the equipment for you to use in our premises.